I am passionate about the work I do with individuals, couples, families and groups. 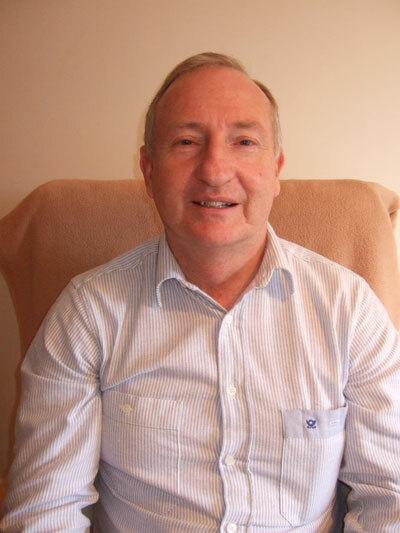 I have been involved with counselling and psychotherapy since the early 90′s. I enjoy helping people and love to watch their lives improve and grow as they work through the issues that have been holding them back. My aim is always to create an environment that is warm, friendly and secure and that enables the client to feel safe to look at those very personal and often distressing experiences. I understand the importance of earning your trust and work hard to really see and understand you. I work with Private Clients (Adults, Young People, Couples & Groups) from my Consulting Rooms in Chester, Liverpool and North Wales – and with Statutory, Voluntary and Independent Organisations in North Wales predominantly but also around the UK. I provide a comprehensive range of counselling, psychotherapy and training services within a safe, supportive environment. I have worked in a wide range of settings and therefore able to deal with most issues both competently and professionally. This successful framework has been developed over thirty-seven years of working directly with people. My counselling and psychotherapeutic practice is underpinned by Transactional Analysis (TA) which is extremely effective with individuals, couples and groups. TA is committed to change and a powerful approach in bringing about human well being. It focus’s upon the areas of concern highlighted by the client that they wish to change. It helps clients to understand behaviours, emotions and thoughts that prevent them achieving their full potential. My practice is also integrative, which means I utilise every aspect of my training, knowledge, skills and experience and therefore I do not restrict myself to one particular therapy approach. I adapt which approach I use according to the clients need at that time. I look to reinforce positive ways of relating and healthy functioning. I look to develop jointly with the client an in-depth understanding of how they can constructively move forward and promote positive change in their lives. The majority of my counselling practice tends to be short to medium term – whereas my psychotherapeutic practice is predominantly medium to long term but always focused upon the needs of the individual. I practice in accordance with the Code of Ethics of the United Kingdom Council for Psychotherapy (UKCP), European Association of Transactional Analysis (EATA) and the Institute of Transactional Analysis (ITA). I am a qualified, experienced & accredited Counsellor and Psychotherapist (UKCP Reg.) who continues to receive regular Psychotherapy and Clinical Supervision. I have extensive experience in the mental health field being also the longest serving Director of Mind in the UK. I am the Clinical Manager of Primary Care Counselling Services for two counties in Wales. I also have over thirty-seven years standing in relation to my organisational work and have extensive experience as a Senior Manager, Consultant & Trainer within the statutory, voluntary and independent sectors. I hold qualifications in other approaches and have lectured on Integrative and Person Centred Diploma in Counselling courses. I also lecture on training courses for Psychotherapists. I deliver many other courses on various topics such as Suicide Prevention and Mental Health awareness. I have extensive experience of working with couples. I have also been an approved Foster Carer. My professional memberships include the Institute of Transactional Analysis, European Association of Transactional Analysis, International Transactional Analysis Association, and United Kingdom Council for Psychotherapy.